The festival, which marks its 70th anniversary this year, is being held in three locations across the city. At its main Odori Park site, the event opened with a trumpet fanfare. One of the frozen sculptures in the park depicts giant thoroughbreds galloping past city landmarks such as the historic clock tower and red-brick local government building. It was made to express the hope for a speedy recovery from damage caused by last September's major earthquake in Hokkaido. Visitors can enjoy five such giant sculptures over ten metres high. 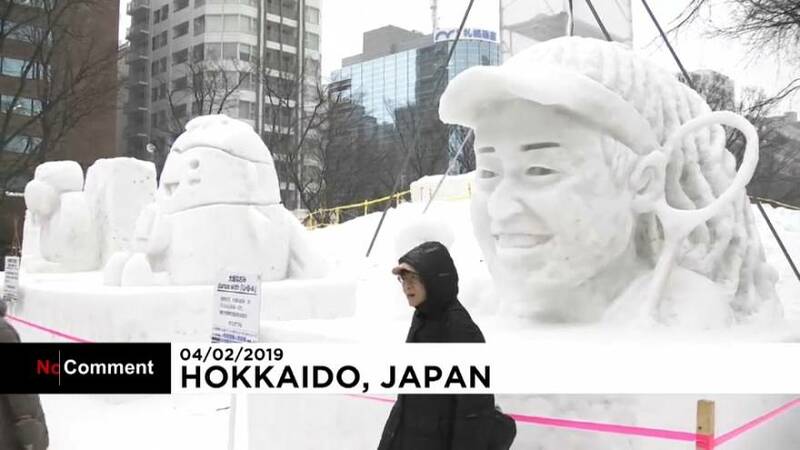 Almost 200 snow and ice sculptures are on display at the event sites. The festival runs until February 11th and organisers say they expect two and a half million visitors this year.